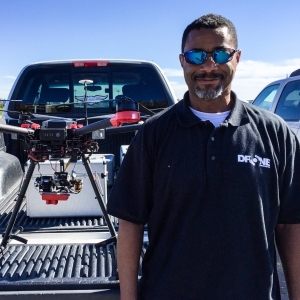 Thomas Davis specializes in research, design and commercial applications of Unmanned Aerial Systems (UAS). As an early industry leader, Thomas applying GIS and Precision Agriculture 8 years ago and continues to excel in the field of Geospatial Technology and UAS Inspections. Working with local farms, Fire and Police departments, Thomas is a well-respected figure in this emerging industry.